Fox News remained the most-watched basic cable network in May among total day viewers, defeating the competition for the 23rd consecutive month, per Nielsen data. But FNC was not the No. 1 basic cable network for May in prime time. 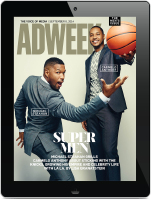 That title went to TNT, which won the month in all relevant measurement thanks to stellar ratings for its NBA playoffs coverage. Fox News has been the most-watched cable news channel in total day and prime time for 197 consecutive months, and it also defeated its cable news competition among younger news viewers, including adults 25-54 and even 18-49. In terms of audience trends — The network posted prime time audience growth in May, +6 percent in total prime time viewers, +2 percent in the prime time demo versus its May 2017 ratings performance. But the network slipped in the daypart that spans the 6 a.m. – 6 a.m. time period. FNC was -2 percent in total viewers, and -8 percent among adults 25-54 versus May of last year. On the program ratings front — Fox News claimed 10 of the top 15 cable news programs in total viewers. 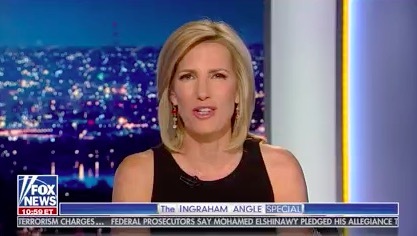 Hannity, Tucker Carlson Tonight, and The Ingraham Angle were among the top four programs in both total viewers and with 25-54 demo. Hannity was No. 1, MSNBC’s Rachel Maddow was No. 2, Carlson was No. 3 and Ingraham was No. 4 in total viewers. Ingraham and Carlson switch places when ranking by adults 25-54. Hannity was also the most-watched non-sports program in all of cable, only eclipsed by the NBA Playoffs on TNT and ESPN. The flagship version of Fox & Friends (6 – 9 a.m.) marked 199 months as the No. 1 cable news program in its time slot. Outnumbered, Outnumbered Overtime with Harris Faulkner, The Daily Briefing with Dana Perino, Other programs to win their respective hours in the key categories included The Five (5 p.m.), Special Report with Bret Baier, and The Story with Martha MacCallum were among the other Fox News shows which were No. 1 in their respective hours. Additionally, Fox News @ Night anchored by Shannon Bream defeated The 11th Hour with Brian Williams at 11 p.m., and MediaBuzz beat Reliable Sources in the Sunday 11 a.m. hour.